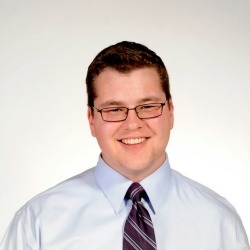 Dantan is currently the lead Research Fellow at the Allan P. Kirby, Jr. Center for Constitutional Studies & Citizenship in Washington, D. C. He also serves as the Program Director at RightProgress.org. Dantan specializes in providing high-level, quality research and analysis. He has a proven record of success working for non-profit organizations, academia, as well as the government. Dantan has been published in many publications, writing on foreign policy, international affairs, political analysis/commentary, political economy and social entrepreneurship. Additionally, he is also coauthoring a book on a political interpretation of the First World War. Previously, Dantan served as a Fraud Analyst for the state of Ohio, the research assistant to Peter W. Schramm—the Executive Director of the Ashbrook Center and Professor of Politics at Ashland University—and a research analyst for Ohio Homeland Security. He holds a Masters of Arts in Politics from the Van Andel Graduate School of Statesmanship at Hillsdale College, having completed a thesis on the political thought of Niccolò Machiavelli. He graduated from Ashland with degrees in Political Science and History and was an Ashbrook Scholar.